Some 20 or 30 years ago (the details are now a little hazy), the then Department of the Environment commissioned a huge study of the common land in England. The contract was let to the Rural Surveys Research Unit (RSRU) at the University of Wales, Aberystwyth, and was done by a team led by Prof. John Aitchison. Although the start date is uncertain, the final report was not presented until summer 2000 — by which time digitisation of large datasets had begun to catch up with the project, although it didn't start out like that. The report is generally referred to today as the 'biological survey of common land', although that appellation does not do justice to the breadth of the data gathered. • a national overview report of the project. The database was exported into an Excel spreadsheet, and this is still available, now on gov.uk; however, the export truncated all long text fields in the database, so that the spreadsheet is valuable for the numeric data, but frustratingly incomplete for verbal analysis. This last defect has now been rectified, as the data, including the original Microsoft Access database, are now available for download on data.gov.uk. The publication of the data is part of the Government's drive to make more public data available online, and one expectation is that people will be able to make innovative use of the data. One early example of that is the common-land.com, which converted the Excel spreadsheet into html form for presentation on a dedicated website. Now that the dataset is available in its original unabridged form, perhaps others will find new uses for the data? Incidentally, the RSRU performed a similar, independent survey of town and village greens, with the support of the Women's Institute whose members conducted local surveys of individual greens. One of the outputs of this survey is the database of town or village greens (in pdf on gov.uk and in Excel on the National Archives web archive), although this too suffers from truncation. Last week, the High Court handed down judgment in R (on the application of Littlejohns and Littlejohns) v Devon County Council and the Duchy of Cornwall, a case brought by a Dartmoor grazier couple, to decide whether the graziers have acquired rights of common grazing by prescription — that is, by long practice of the grazing, 'as of right' (meaning, as if it had been done in the same fashion as a grazier with a right to graze, even though, at the time, there was none). In the distant past, such a case would have been unsurprising, for many rights of common were established by prescription, even if in historical theory, they might have been attributable to some ancient manorial grant. There would have been little doubt about the rules of prescription, but the case might have been fought over the facts, such as the quantification of the rights, and the extent of the common over which the claimed grazing took place. When the registers of common land were drawn up in the late 1960s under the Commons Registration Act 1965, commoners were invited to make provisional registrations of their rights, and many would have decided what to do on the basis of past practice — essentially prescription — albeit some decided to add a bit on top for good measure. In due course, the Commons Commissioner subsequently determined the merits of disputed provisional registrations, very often on the same principles of prescription, looking at what evidence the commoner could produce of long-standing grazing practices. Fifty years on, there is no doubt that (at least, in certain parts of England) statute law has abolished the prescriptive acquisition of rights of common, and graziers can no longer rely on prescription to convert long-standing grazing into a right of common, for s.6(1) of the Commons Act 2006 does precisely that in plain language: "A right of common cannot at any time after the commencement of this section be created over land to which this Part applies by virtue of prescription." The question to be decided in the High Court was whether abolition occurred before s.6 came into force, as a subtle consequence of the 1965 Act: not explicitly stated but to be inferred just the same? For s.6 is forward looking and has nothing to say about prescriptive rights already acquired, and even now, it has been brought into force only in the nine areas of commons registration authorities pioneering the implementation of the 2006 Act. Prescription is the foundation of private rights, such as rights of common, but also, for example, private rights of way and rights to light. It provides a mechanism by which one person may acquire a right to do something which is or may be to the detriment of another. It operates on the principle that if that person has done something for so long (typically 20 years, formerly 30 years, but at one time, only if done since time immemorial), openly, without permission, and without hindrance, then it would be unconscionable to allow interference in what is being done, and the law will infer some legal if possibly fictional origin to it, such as a grant by the other party, even where there is evidence to show that the legal origin is in fact impossible. It is surprising therefore that there is uncertainty about whether prescription for rights of common was in fact quietly abolished by the 1965 Act, and it is worth exploring how this might have happened. The 1965 Act was transitional legislation: it was intended to enable the establishment of registers of common land (and town and village greens) but no more: it left the question of the regulation of the exercise of rights of common, and of common land itself, to future legislation: indeed, s.15(3) said that the question of how many rights of common should be exercisable, out of those actually registered, should be resolved "as Parliament may hereafter determine" (s.15(3)). Despite this, it did two relevant things which are said to have affected prescriptive rights. First, the 1965 Act made it compulsory to register subsisting rights of common. It did not do this through any criminal sanctions, but through the expedient of rendering unexercisable any unregistered rights: s.1(2)(b) said that from 1 July 1970 (the end of the period appointed for provisional registration), "no rights of common shall be exercisable over any [registrable common] land unless they are registered…under this Act…". The courts subsequently decided that a right which was not 'exercisable' was in practice extinguished. But what impact did s.1(2)(b) have on prescriptive rights? It undoubtedly extinguished any prescriptive rights which had already matured by 1970, for these could, and should, have been registered under the 1965 Act. But a grazier might have been grazing 'as of right' for just 15 years in 1970, and so had no basis on which to register the right by the deadline for registration in 1970. Could it be registered by 1975? On the face of it, as soon as the grazing practice matured into a prescriptive right in 1975, s.1(2)(b) acted to cut it down again, by rendering the emerging right immediately unexercisable unless and until it was registered (as to which, see below). It seems that the cow, grazing on the pasture, having acquired a right to graze on the 20th anniversary of that grazing, would immediately have it taken away, no sooner gained than gone. However, there is an alternative argument that s.1(2)(b) must be interpreted as having a 'Big Bang' impact. That interpretation says that it operates only on rights which were already subsisting on 1 July 1970, and not those which might be acquired at some later date. Secondly, r.3(2) of the Commons Registration (New Land) Regulations 1969, made under the 1965 Act, forbad the registration after 1970 of any new or further right of common over land already registered as common land. In other words, after the closure of the provisional registration period from 1967 and 1970, the registers were seemingly to be final about what rights of common subsisted over any registered common land. A right of common over existing common land granted since 1970 by the landowner, or one acquired by prescription maturing after that date, could not be registered under the regulations. And since it could not appear on the register, then if the 'Big Bang' theory was correct, the register would present an incomplete picture of subsisting rights (because the new right would subsist, but be incapable of registration), and if it were wrong, then the new right could have no existence whatsoever (because it would have been extinguished by s.1(2)(b)). • that the 1965 Act had terminated any possibility of acquiring new rights of common over existing common land after 1970. None of this prevented a new right of common being acquired over land which was not previously common land: the regulations did provide for that unlikely eventuality (Pannageman has never encountered such a case, although one such was cited in debate on the Commons Bill), although if the 'Big Bang' theory were wrong, any such right would become exercisable only after registration, if at all (see below). This uncertainty has endured since 1970. The practical effect of the regulations may have discouraged litigation: after all, because a claimed prescriptive right could not be registered, there was less incentive to demonstrate its existence. As we have seen, s.6 of the 2006 Act legislated to remove this uncertainty for the future. The 2006 Act says nothing directly about claimed prescription between 1970 and the commencement of that section. But it is not entirely silent on the subject, because para.2(2)(a) of Sch.3 to the 2006 Act provides for registration arising from "the creation of a right of common (by any means, including prescription)" occurring between 1970 and the commencement of the Schedule. This point might be thought conclusive: there is a specific parenthetical reference to the creation of rights by prescription after 1970. But it is not: it could be taken to embrace only the acquisition of rights by prescription over land which was not already registered, where such rights had not (but could have) been registered under the 1965 Act. So the Schedule is agnostic about the potential for acquisition of rights of common by prescription after 1970: it does not attempt to clarify the point, but it does not close the door on the possibility. Let's turn to the High Court challenge. This has been long-awaited: the 2006 Act was brought into force in Devon (and several other areas) in 2008, and while the question of prescriptive rights was immediately in play in relation to the Dartmoor commons, it has taken nearly seven years for the matter to be resolved (although PannageMan understands that there will be an appeal). 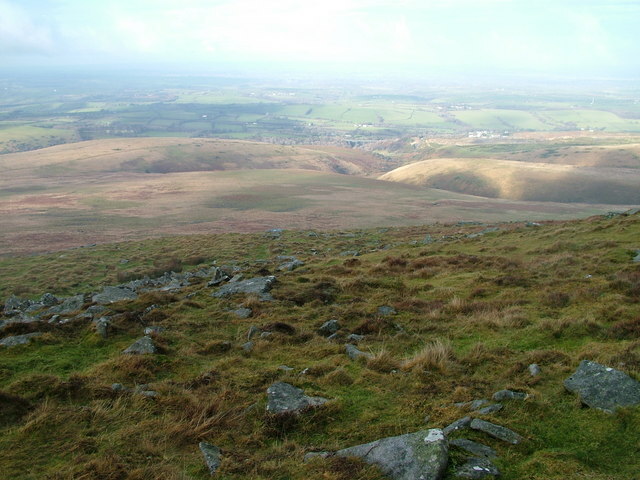 The judgment sets out the facts of the case, but it is sufficient to say here that the claimants' predecessors had long exercised rights of common on certain Dartmoor commons, but for whatever reason, failed to register them under the 1965 Act before the cut-off date of 2 January 1970. They had continued to graze without objection, and the question was whether, since their rights had undoubtedly been extinguished on 31 July 1970 (the date appointed under s.1(2) of the 1965 Act) for want of registration, the claimants had acquired new rights by prescription since 1970. The claimants applied to the council under para.2(2)(a) of Sch.3 to register their claimed prescriptive rights in March 2010, and after much consideration, the council refused the application in May 2014. This case was an application for judicial review of the council's decision. The court began by considering the effect of the 1965 Act. It was accepted, as we have seen, that the claimants were unable to register their claimed rights under the 1965 Act. The claimants said that, nevertheless, it was possible to acquire such rights, whereas the council said that s.1(2)(b) either made it impossible to acquire the rights, or if they were acquired, they were immediately extinguished. The court sided with the council: the judge rejected the 'Big Bang' view of s.1(2)(b), and said it: "is so broadly expressed that it cannot be read as limited to rights which were in existence prior to 31 July 1970. Moreover, the parallel existence of rights which were unregistered would be contrary to the purpose of the CRA 1965." The court took comfort from the 1969 Regulations, and from the decision of the House of Lords in the Trap Grounds case, in which Lord Hoffmann said that: "because the new register is conclusive, [land claimed as a village green] does not become a village green until it has been registered". So the court took the view that new rights could not be acquired under the 1965 Act. The judge said that if she were mistaken about that, any rights which were acquired would nonetheless be extinguished on maturation because of the effect of s.1(2)(b). She concluded: "it would have been inconsistent with the legislative purpose of the CRA 1965 to allow unregistered rights of common to co-exist alongside registered rights of common. Either the unregistered rights never had legal effect or their legal effect at common law was automatically extinguished by operation of section 1(2)(b)." The court went on to consider whether the 2006 Act affected the conclusions on the 1965 Act. It did not. Parliament could have acted to revive rights, such as the claimants', which were incapable of being registered under the 1965 Act, but did not do so. The judge said: "The Minister and Parliament were aware of the possibility that no new rights of common could have arisen over existing common land under the CRA 1965 (see Hansard, HL, vol 674, col GC 284) but made no express provision for registration of this category of rights." The judge also noted that s.6 allowed for the creation of new rights of common over existing common land, and took the view, "that the way forward adopted by Parliament was to make express provision for applications to register new grazing rights of common over existing common land, but subject to the control of the commons registration authority which could refuse to register the rights if the land could not sustain any further grazing." Comment: The court attributed a continuing purpose to s.1(2)(b) (i.e. that the provision does not have a once-and-for-all 'Big Bang' effect). Although the court cites the judgment in the Trap Grounds case, that judgment found only that greens had no legal status until they were registered: it did not specifically rely on s.1(2) (indeed, Lord Hoffman instead says that: "…the argument that it [the land] would have 'become a village green' is a misreading of sections 13 and 22 of the 1965 Act" (para.43)). In a dissenting opinion (on this particular question), Lady Hale specifically commented (para.141) that: "section 1(2)(a) cannot apply to land which became a green after the axe fell: otherwise there could be no new greens at all." Whereas, since the 1965 Act was enacted, a village green has been required to fulfil an entirely statutory definition in order to qualify for registration, a right of common remains a common law entity, and the 1965 Act has nothing to say about what is meant by a 'right of common', or what qualifies as a right, other than to say (s.22(1)) that it includes certain obscure kinds of sole rights and cattlegates. It is entirely plausible that a village green, now being the creature of statute, has life only when it is registered, whereas rights of common continue to arise at common law, whether or not registered. If s.1(2)(b) has a continuing effect, it is hard to see how it operates in relation to the post-1970 period. 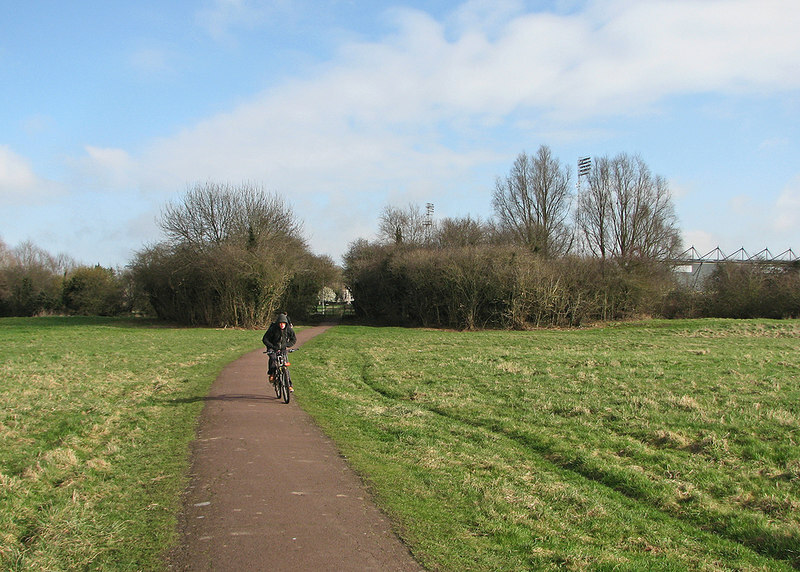 Imagine a right of common granted by a landowner so as to create a new common (something which could be registered under the 1965 Act and the 1969 Regulations). It seems that the new right is not effective until it is registered. But if it is not registered, when does s.1(2)(b) act so as to extinguish it? Immediately on its grant? Or after a day, a month, a year, or a lifetime? It was quite clear when s.1(2)(b) had that effect in relation to rights subsisting pre-1970: on 31 July 1970. It is less easy to find the same clarity thereafter. Perhaps s.1(2)(b) simply means that the granted right is unexercisable until it is registered: but the Act uses the word 'unless', not 'until', and that encourages the 'Big Bang' perspective. Or indeed, perhaps the Act really does mean 'unexercisable' and not, as the courts have found, extinguished: but if so, that has some pretty momentous implications for the many rights which were not registered under the 1965 Act and which would turn out not to have been extinguished at all. Nor is there any obvious reason why s.1(2)(b) should have a continuing effect. The judge said that: "the legislative intention of the CRA 1965 was that all common land and rights of common should be registered and that registration would be conclusive evidence of the matters registered, under section 10." But the 1965 Act was no more than first stage legislation: as we have seen, it anticipated (though with a gap of 40 years) second stage legislation. In the Trap Grounds case, Lord Hoffmann conceded that the 1965 Act contemplated further legislation about common land: "Section 1(3)(b) contemplated further legislation on the vesting of unclaimed common land, … . Section 15(3) contemplates further legislation affecting the exercise of rights of common, … . … There are several references to registration being a 'first stage' and to a later measure 'for the better management and improvement of common land' (2nd reading debate, 6 February 1965, col 90)", but concluded that: "It is by no means clear that Parliament contemplated further legislation about rights over village greens." And in the same case when it came before the High Court, Lightman J quoted (para.7) the Minister of Land and Natural Resources, Frederick Willey, who explained (Commons Hansard, vol 711, col 456) why two stage legislation was necessary: "First of all we should create the machinery for establishing the facts by registration: that is the simple purpose of this Bill. Until the facts are authoritatively established and recorded it would be premature to frame the further legislation that will be required. What the Bill will do is to provide the foundation for the further commons legislation making provision for statutory schemes for the management and improvement of common land." Lightman J then noted (para.9) the promise of second stage legislation embedded in the Act itself (ss.1(3)(b) and 15(3)), but concluded that (para.10), "The 1965 Act however disclosed no equivalent gaps in respect of Greens." Certainly, the 1965 Act did not put in place a mechanism to require the registers to be kept up-to-date: for example, there was nothing in the 1965 Act to require a right of common to be removed from the register if it was extinguished, or to require an exchange of common land to be noted on the register: these things could be done, but were not made mandatory. It was not until the 2006 Act that any sanctions were put in place for that purpose. And the conclusiveness conferred by s.10 was illusory: that provision states that the matters are conclusive "as at the date of registration": i.e. at some time in the late 1960s. By the early C21, the registers were out-of-date, and anything contained within them could be challenged on the basis that they had been overtaken by off-register events. For example, the register might show a right of common attached to land: but the right could have been extinguished, varied, severed from the land, apportioned or (possibly) have been abandoned for want of use. None of these events need have been recorded in the register. The draughtsman of the 1965 Act knew this, but had little concern, because he assumed that further legislation in the 1970s would address it. So the 1965 Act could not, and did not, deliver conclusive registers, and an interpretation of s.1(2)(b) on the basis that it did intend to do so may be mistaken. The 1969 Regulations made no provision for the registration of new rights of common over existing common land. The court did not consider whether that omission might have been ultra vires. However, it is more likely that the 1969 Regulations strictly follow the regulation-making powers in s.13 of the 1965 Act, which do not allow for amendment of the registers in relation to the creation of new rights over existing common land, and so the draughtsman of those regulations probably felt that no provision could be made for that purpose. That is more likely to reflect a flaw, or perhaps an ill-informed intention, in the drafting of the 1965 Act. Oddly, the 1969 Regulations do appear to contemplate the registration of a new right of common over land which has itself already been registered after 1970 under s.13 (see r.3(2)), but without any obvious mechanism for enabling it to happen. The Common Land Forum, in 1986, reported that: "It seems to us that Parliament could not have intended to bring about a situation in which new rights of common could be registered over a newly created common but not over an existing registered common". The Regulations meant that, for example, where the owner of a common wished to sell a tenanted farm to the sitting tenant, and the tenant had long-standing rights of grazing on the common by virtue of the tenancy (rights which could be registered as rights of common, because the owner of a common cannot have a right of common over the owner's own land), the owner could not grant the former tenant a right of common to replace the rights under the tenancy. The judge said that Parliament made no express provision in the 2006 Act to revive rights suppressed by the 1965 Act, referring to a debate on the Commons Bill in the House of Lords. The Minister, Willy Bach, observed (Lords Hansard, 25 Oct 2005 : Column GC284): "It is not possible to say whether any new rights of common have been acquired by prescription over existing registered common land, because the 1965 Act does not enable such rights to be registered, and some would say neither does the Act allow the rights to be exercised. Schedule 2 enables such rights, if they are capable of existing, to be registered during the transitional period." So the debate suggests Ministers' agnosticism: they did not know what effect the 1965 Act had had, and intended the 2006 Act to be neutral. They did not make any express provision to revive suppressed rights, because they were uncertain whether they were indeed suppressed. The court noted that s.6(1) of the 2006 Act abolishes prescription prospectively. But that provision might be said to convey an implication that prescription had not impliedly been abolished by the 1965 Act. After all, if it had been, s.6(1) is all but redundant, except in relation to land which is unregistered — yet in respect of which there had been no, or perhaps one, known claim of prescriptive rights since 1970. The court also noted the role of s.6 in allowing for the creation of new rights of common over existing commons, and thought that to be the 'way forward'. But s.6 suggests that Parliament was not opposed to the creation of new such rights, and provided for a mechanism to allow it to happen. If so, can it be taken to have intended that there was a period of 40 years, after 1970, when no new rights could be created? The role of the commons registration authority in validating the creation of new rights under s.6(6) is probably no more than an administrative formalisation of the existing common law position, which is that new rights could not be granted over an existing common if there was no capacity to accommodate those new rights, for the owner cannot grant what is not the owner's to give. This last point raises a point apparently unconsidered in the case: was it possible for the claimants to acquire a right of common over the Dartmoor commons after 1970 if the commons were oversubscribed? The consequence of registration under the 1965 Act was to create registered rights exercisable over many commons which were well in excess of the commons' grazing capacity. We are not told the position in relation to the particular commons affected by this claim (Okehampton Common (CL 155); Forest of Dartmoor (CL 164); and the Triangle (CL 135)), but the Duchy of Cornwall, the landowner, did not take part in the case, and therefore we do not know whether a successful claim by the claimant would have diminished the grazing available to the existing registered commoners. All we can say is that it seems no objection has ever been made on these grounds. Finally, the debate about whether the prescriptive acquisition of rights of common grazing was abolished under the 1965 Act or 2006 Act may have overlooked an even earlier if unlikely source of abolition: the Theft Act 1968. S.1(1) provides that, "A person is guilty of theft if he dishonestly appropriates property belonging to another with the intention of permanently depriving the other of it", and 'property' includes "things forming part of land and severed from it by him [where the person] is not in possession of the land and appropriates anything forming part of the land by severing it or causing it to be severed, or after it has been severed". Indeed, s.4(3) specifically has to exclude mushroom picking from the scope of theft (if done for personal use). So grazing animals on someone else's land, so that the animals sever and consume the grass growing on it, might show the necessary ingredients of an offence under the 1968 Act. In the past, the courts have been reluctant to recognise a prescriptive right to do something illegal. However, recent judgments (Bakewell Management Ltd v Brandwood and others, R (on the application of Best) v Chief Land Registrar and The Secretary of State for Justice) suggest that a prescriptive right can be acquired to do something which may be a criminal offence, if the person against whom the right is acquired could have consented to the act and rendered it lawful. The comments in this blog are not intended to suggest that the court was necessarily wrong in its conclusion. But they may suggest that the question has not yet been fully explored, and would merit consideration on appeal. Defra announced yesterday a new methodology for calculating payments on common land under the Basic Payments Scheme (BPS, the direct payments subsidy for farmers under pillar 1 of the Common Agricultural Policy). The change means that, from 2015, the whole area of a common will generally be allocated among those who claim on it for the purposes of the BPS. That means a larger notional area for claimants on most commons, and subject to other factors, potentially larger payments. Defra has also announced that, following a legal challenge to the existing methodology under the Single Payment Scheme (SPS), it has concluded that the methodology used since 2005 was unsound, and that certain commoners may be eligible for compensation. As the announcement is closely connected with my role in Defra, please refer to the website for further information.